The harshness of the German language is played up hilariously in this video from the Copy Cat Channel. 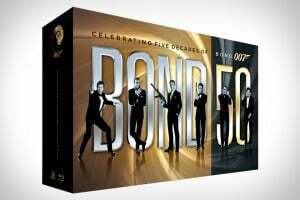 This awesome Blu-ray collection takes you through 50 years of Bond, with all 22 films up to Skyfall (which it doesn’t include), and over 130 hours of bonus footage. If you’re a Bond fan, you’re going to want to add this to your collection. I’m generally not a fan of protein bars, but I like what EPIC Bar is doing. Their protein bars are 100% grass-fed animal based, and are designed to be paleo friendly, gluten free, and low in sugar. They currently offer bison, beef, and turkey bars, and each have a few extra ingredients thrown in that help with taste, such as bacon, cranberries, walnuts, and almonds. If you’ve ever tried to bake a pizza in a charcoal grill, you know how annoying it can be. If you’re lucky, you can come away with a smoky, crispy pizza that a traditional oven can’t deliver…but usually your pizza just ends up charred and ruined. 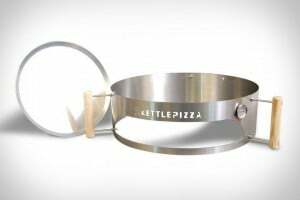 Enter the KettlePizza, which turns a 18.5- or 22.5-inch kettle-shaped charcoal grill into a pizza oven capable of delivering consistently delicious pizza. The contraption helps maintain a constant grill temperature, and gives you easy access to your pizza. It also comes with a stone to cook your pizza on, and a wooden pizza peel. I first read Ender’s Game as a teenager and loved it. With the movie coming out soon, I thought it a good excuse to re-read the book, and I’m glad I did. Whether you like sci-fi or not (I’m generally lukewarm for the genre), chances are you’re going to like this Hugo and Nebula Award–winning novel. Aliens have attacked Earth twice and almost destroyed the human species. 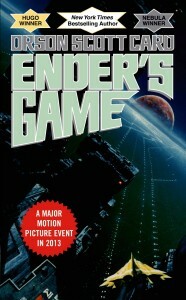 To make sure humans win the next encounter, the world government has taken to breeding military geniuses — and then training them in the arts of war… The early training, not surprisingly, takes the form of ‘games’… Ender Wiggin is a genius among geniuses; he wins all the games… He is smart enough to know that time is running out. But is he smart enough to save the planet? The biggest strength of the book is its characters though, which Card develops brilliantly. You really come to love some and hate others, and can’t help but to fantasize what it would be like if you were among them in Battle School. If you haven’t read this classic and are hunting for your next read, or if you have but read it a while ago, make Ender’s Game next on your list. It won’t disappoint. 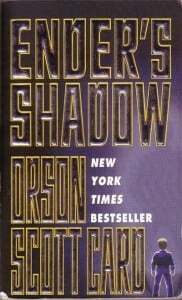 Ender’s Shadow is a “parallel novel” to Ender’s Game, meaning it re-tells the story of Ender’s Game, but this time from the viewpoint of another character, Bean, who becomes Ender’s lieutenant despite the fact that he is the smallest and youngest of the Battle School students. Bean is the central character of Shadow, and we pick up his story when he is just a 2-year-old starving on the streets of a future Rotterdam that has become a hell on earth. Bean is unnaturally intelligent for his age, which is the only thing that allows him to escape–though not unscathed–the streets and eventually end up in Battle School. Despite his brilliance, however, Bean is doomed to live his life as an also-ran to the more famous and in many ways more brilliant Ender. Nonetheless, Bean learns things that Ender cannot or will not understand, and it falls to this once pathetic street urchin to carry the weight of a terrible burden that Ender must not be allowed to know. I wasn’t sure what to think before reading this book. Was it going to be a boring traipse through familiar territory–merely an easy way for Card to cash in on the success of Ender’s Game–or did it actually have something unique to offer? Well, I was hooked within the first 10 pages and found Bean’s tale equally enthralling as Ender’s. Card’s characterization is as good as ever, and he does a great job taking the plot whose milestones you already know, and infusing it with new mysteries and suspense.